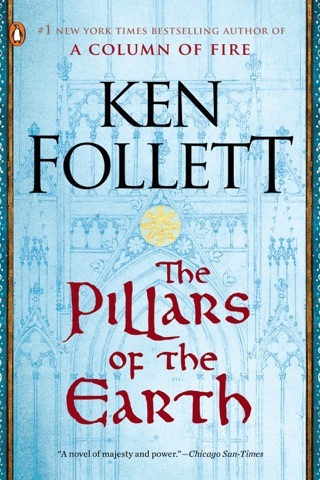 Eighteen years after Pillars of the Earth weighed in with almost 1,000 pages of juicy historical fiction about the construction of a 12th-century cathedral in Kingsbridge, England, bestseller Follett returns to 14th-century Kingsbridge with an equally weighty tome that deftly braids the fate of several of the offspring of Pillars' families with such momentous events of the era as the Black Death and the wars with France. Four children, who will become a peasant's wife, a knight, a builder and a nun, share a traumatic experience that will affect each of them differently as their lives play out from 1327 to 1361. 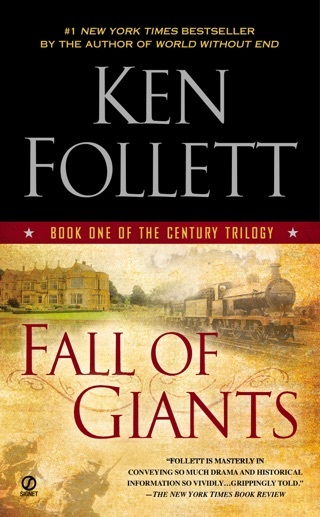 Follett studs the narrative with gems of unexpected information such as the English nobility's multilingual training and the builder's technique for carrying heavy, awkward objects. 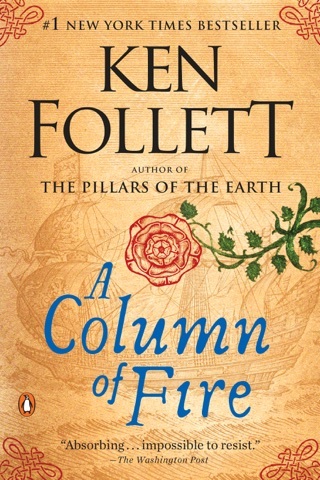 While the novel lacks the thematic unity of Pillars, readers will be captivated by the four well-drawn central characters as they prove heroic, depraved, resourceful or mean. 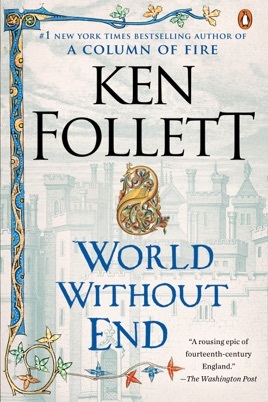 Fans of Follett's previous medieval epic will be well rewarded. My hardback library contains books that cost upwards from $17, but these are a solid commodity that has value beyond some of today's "Throw away" standards. The cost of books that I plan to download into this contemporary, and so convenient medium, need to max out at $12 -$13. The majority will run in the $4 - $8 range. 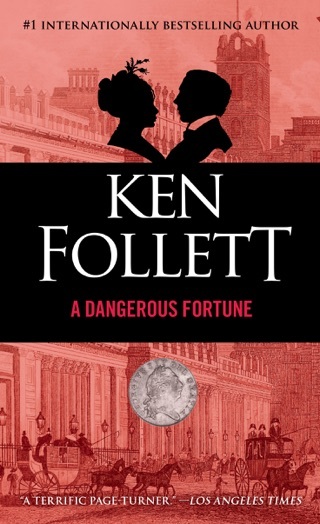 Ken Follett's writing deserves a permanent place in any library. The wonder of the iPad is that I can now carry an exceptional library with me everywhere I go, and feel that the price is not too high. 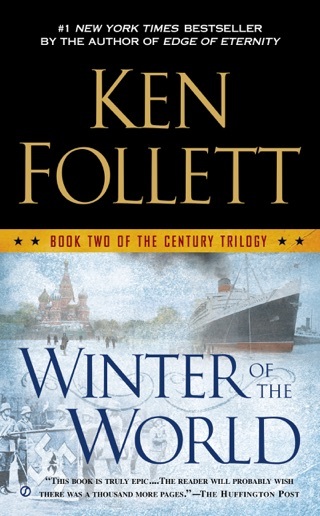 So maybe I wait for the introductory price to be reduced - I already have a couple of inexpensive 900 page Ken Follett books to enjoy first. I really wanted to like this book. Unfortunately, I spent much of my time thinking: really Ken? Really? The author's writing style is repetitive and dry. 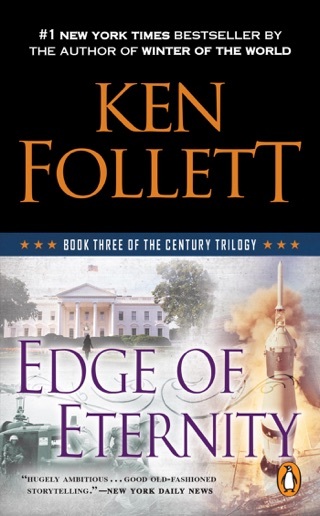 His characters are one dimensional and speak and think in one voice. The plotline is predictable and lumbering. I was annoyed by the frequent, hackneyed use of the same sexual encounters. Couple kiss, boy grabs breast immediately, repeat. It was hard for me to believe I wasn't ready a story penned by an adolescent boy. The dialog was horrid throughout the book. Again, the common voice for all characters was confounding and I often has to turn back a page to figure out who was talking since almost any character in a scene could have voiced a particular bit of dialog. I had a very difficult time keeping this story in 14th century England. Besides the occasional anachronism, the thing that seemed to break my suspension of disbelief was the very "modernized" language. I realize he is trying to give this a natural feel (maybe? ), but it was just a bit over the top. I would not have been surprised to see "Merthin, dude, what a wicked cool" (insert fabulous technological advancement here). The words were accompanied by modern medical concepts and practices. I won't spoil the central "when Harry met Sally" storyline. But it was just that, taken to a level of absurdity. Not much here to cheer about. I have this nagging feeling the author wanted to take advantage of the 20th anniversary of POTE and the recent mini series and threw this together. I dis not feel like he cared for the subject matter of his characters. Love love love this book! Couldn’t put it down!!!!! !